Stef is passionate about sports and the outdoors and it comes through in her guiding and instruction. Currently based in Golden, B.C., Stef’s newest endeavor is creating her own guiding company, S and K Expeditions. Stef has guided on Magpie expeditions since 2012 when she joined us to lead trips with young women from the nearby Innu communities. She has been an essential part of these programs, spreading her enthusiasm and being a great role model for a new generation of wilderness lovers. 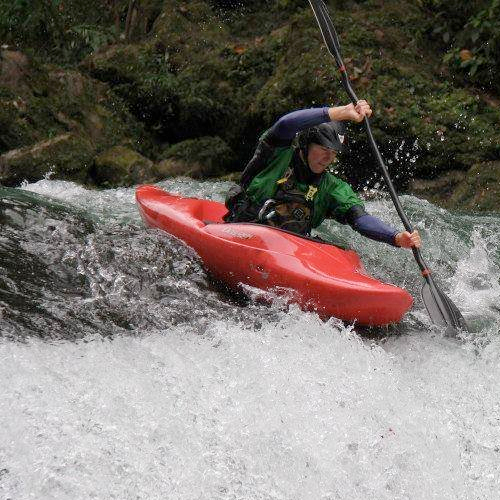 Stef has been teaching whitewater rescue for the last six years. She brings a ton of whitewater, expedition, and educational skills to our team.